We had some really wonderful entries in our mini painting contest this year. I highly recommend you take a look at all the beautiful work from newbies and experienced painters alike! But there can be only winner and our congrats to Ian Taylor! Ian’s #GenCantMini2018 entry was selected by our esteemable judges for its incredible detail throughout. 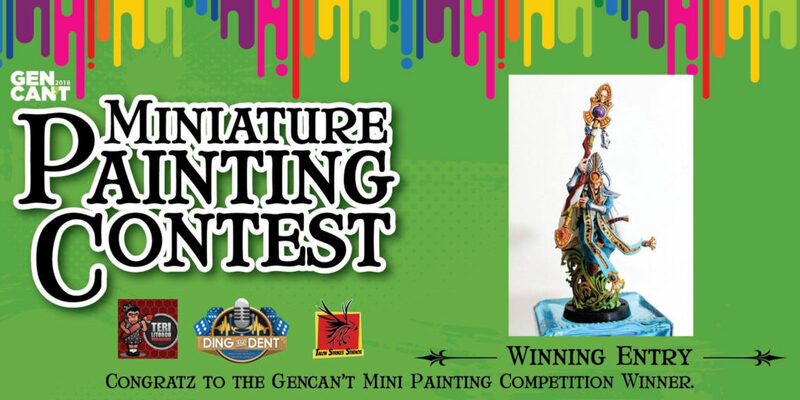 We hope you all had fun painting (or just seeing other’s progress) in our mini’s contest this year. And thank you to our prize sponsor, Quiver Time!